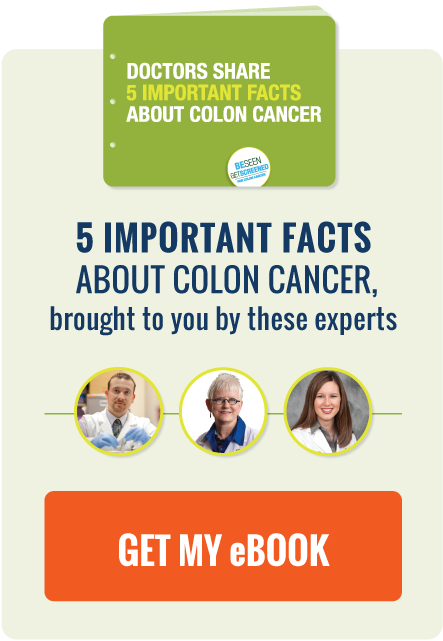 Colon Cancer Facts From Doctors: Screening is Not That Bad! Unfortunately, too many patients avoid colon cancer screening due to misconceptions or fears about the screening process. There's terrific news on the colon cancer screening front from the Big Apple! Your second, free Be Seen, Get Screened eBook is here! According to a recent study conducted by the Centers for Disease Control and Prevention, colon cancer deaths that could have been prevented with screening cost the U.S. economy a whopping $6.4 billion. Studies show that runners have lower risk of cancer and other chronic diseases, are less likely to develop arthritis, and have better immune systems. These among many other beneficial factors make running a spectacular means of getting exercise. Here are few other convincing reasons why you should take up running. According to a new study published in Science, high doses of Vitamin C - equivalent to about 300 oranges - may slow the growth of or even kill certain types of colon cancer cells. We are excited to host Be Seen, Get Screened guest author Kaye Blackburn. After witnessing the devastating impact of colon cancer on several of her family members, Kaye has made it her mission to spread the word about early-onset colon cancer. She has contributed this post about her daughter, who battled colon cancer in her 30s, to engage Be Seen, Get Screened supporters in her fight to save lives. Professor Linda Larkey from Arizona State University during her Integrative Options for Care and the Evidence for Mind-Body Practice Choices presentation. Over the weekend the Colon Cancer Alliance hosted its National Conference in Phoenix, which attracts colon cancer patients, survivors, caregivers, family members, healthcare professionals and advocates from across the world who come together to discuss important issues and raise awareness of this disease.